of residential construction and modern building techniques. 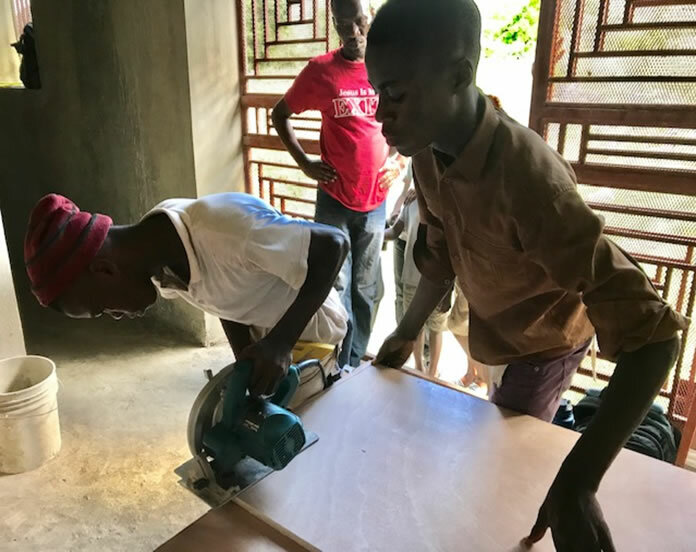 Students will also learn framing techniques for floors, walls, ceilings as well as for doors and windows. In addition to this, the students will gain general knowledge regarding the reading and interpretation of blueprints, and safety issues. Students will learn how to safely use basic hand tools and power tools as well as the maintenance the tools require. Students will also build on their math skills with concepts commonly used in the construction industry. Each 2 or 3 year student will receive a personal kit of tools that will help them through the training and give them a boost as they begin their career. Each student kit is $107. Please consider donating to sponsor a student, or take a look at the needed equipment list and donate towards a larger tool or equipment that will be used in training students from multiple classes.